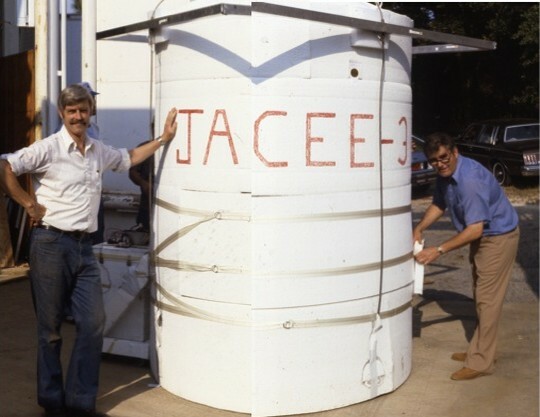 The Japanese American Collaborative Emulsion Experiment (JACEE) was a scientific effort carried out to measure the composition and spectra of primary cosmic rays at the top of the atmosphere, using emulsion chambers transported by stratospheric balloons. JACEE's first flight was conducted in 1979, and flights continued through 1996, totaling 14 flights and 13 successful missions. The collaboration leveraged Japanese expertise in photographic materials and microscopy, American expertise in ballooning and data analysis, and Polish resources in scanning and measurement of emulsions. Each payload could contain one, three, or four chambers, each chamber with an area about 2000 cm2, 12~25 cm thick, and weighing ~120 kg. Figure at left shows a schematic diagram of the vertical configuration of one chamber. It was comprised of four sections, identifiable according to their function in the experiment. These are, from the top, the charge detector, the target, the spacer, and the calorimeter. All sections were multilayered stacks of track-sensitive materials (emulsions, x-ray films, CR-39, Lexan) alternated with absorbers (acrylic, lead). There were approximately 300 layers of emulsion in the chamber. This configuration was more or less the same for all the flights. However, many flights not included the spacer section, and in some cases were added other elements like Cerenkov detectors or plastic scintillators. 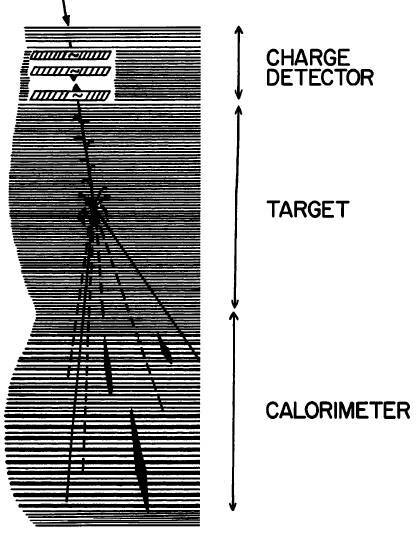 The charge detector employed thick (200 - 400 micron) emulsions, which permited accurate determination of the charge of each primary particle via measurements of the grain density, gap distribution, and/or delta ray distribution. The target section was comprised basically of thin (50 ~ 75 micron) emulsion plates alternated with acrylic sheets. The substantial mass of low-Z material maximized the interaction probability, while the emulsion optimized the observation of charged tracks from an interaction vertex. In order to identify nuclear fragments, charge identification layers composed of thick emulsions and etchable plastics were inserted at regular intervals throughout the target. The spacer section consisted of honeycomb paper with a few thin emulsions positioned at regular intervals that facilitated the tracing of tracks through it. Finally, the calorimeter was the energy measuring portion of the apparatus. It consisted of 1.0 and 2.5 mm thick lead sheets alternating with thin emulsion plates and x-ray films. Gamma rays emanating from a vertex in the target initiated electro-magnetic cascades in the calorimeter. The cascades produced dark spots in the x-ray films, the observation of which provided the trigger for an event. 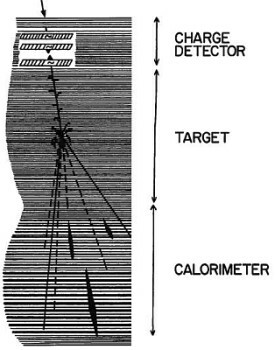 The events were traced back from the calorimeter, through the spacer, to the vertex in the target by observing associated tracks in the emulsions. 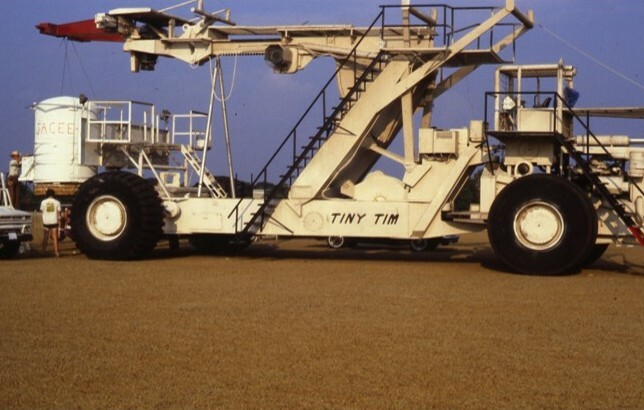 First attempt to launch JACEE-3 was aborted due to an electrical malfunction on the "Tiny Tim" launch vehicle which allowed the restraining jaws of the launcher to open prior to the launch. The balloon was intentionally deflated on the launch pad with no serious damage to the science payload. The emulsion blocks to be flown were stored underground at Johnson Space Center and were launched on the next flight of the project carried out at Greenville, South Carolina in June 1982.